At RISE Life Services, we provide enhanced opportunities for individuals to reach and often surpass their personal goals. Our multi-faceted services enrich and inspire the life of each individual. In order to accomplish all of these things for our residents and continue to grow, we host different types of fundraising events. One of those coming up is a special trip to Italy in April of 2020. 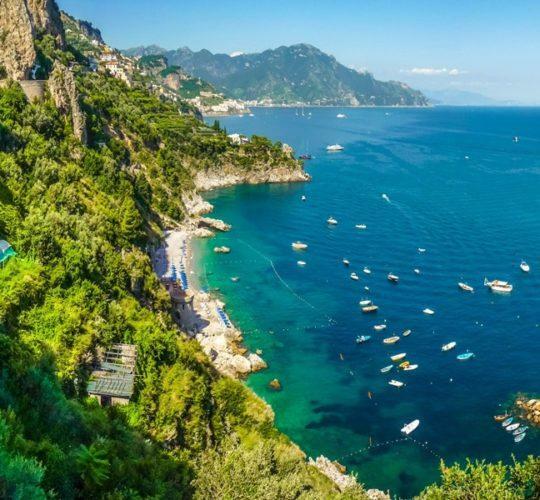 Discover Southern Italy and Sicily during this trip featuring Taormina, Matera, Alberobello and the Amalfi Coast from April 14 to April 25, 2020. Enjoy a discounted rate that also helps support RISE. Click here to learn more about this trip. Your support of RISE can help our agency continue to provide the highest quality of care. And why not enjoy a dream vacation to Italy at the same time? You are able to personalize your tour by adding activities. All recommended options have been carefully chosen to help enhance your individual experience. You may also choose to upgrade your airfare. We will be hosting a Q&A dinner to answer all of your questions about this trip on June 4, 2019 at 6pm at Primi, West Islip. Additionally, you can request more information to be mailed, or a slideshow presentation link via email by clicking here. However, please do not hesitate to call with questions at 631-727-6220 ext. 203 or via email mmartin@riselifeservices.org. Thank you for considering sharing this opportunity with those you know who love to travel! RISE Life Services provides a residential and supported living environment on the East End of Long Island, dedicated to empowering people with intellectual disabilities and mental health challenges to RISE to their full potential. To learn more about RISE Life Services, residential housing, job opportunities and other programs, please browse our website or call 631-727-6220 ext. 203 with any questions.